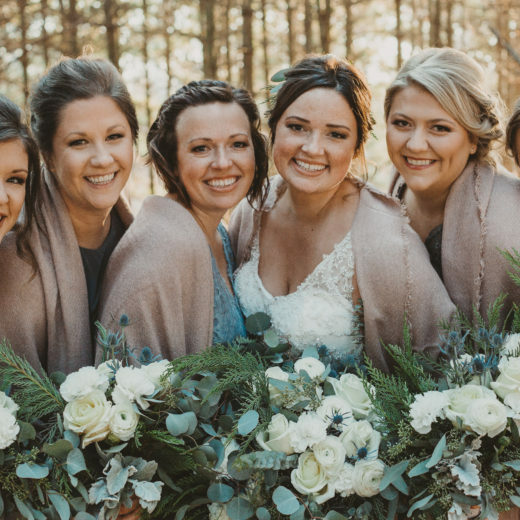 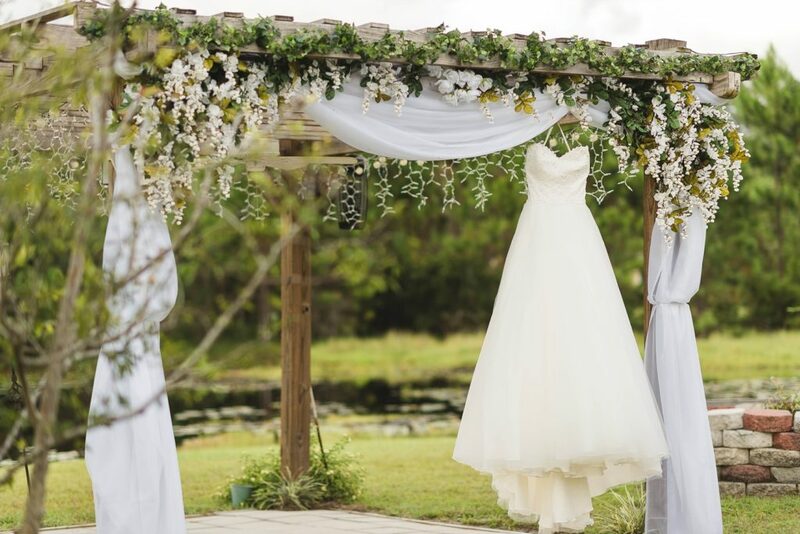 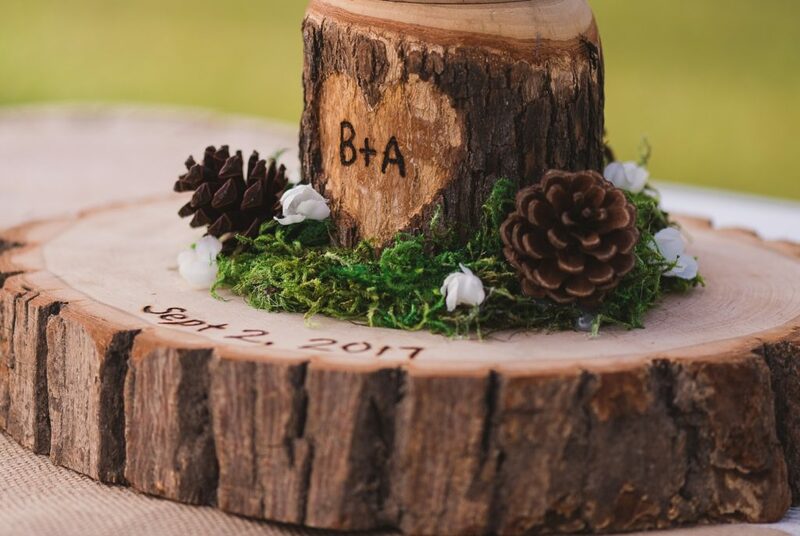 Steeped in Viking tradition, the September 2017 wedding of April and Bryan McNeely was so much more than a themed event. 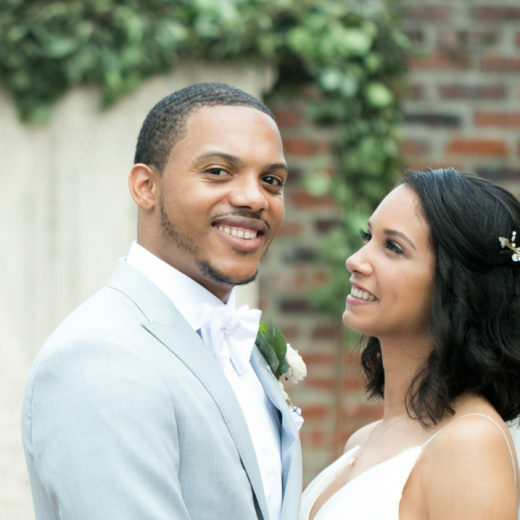 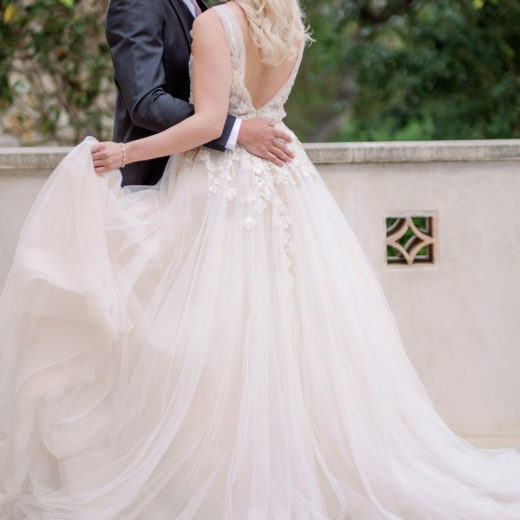 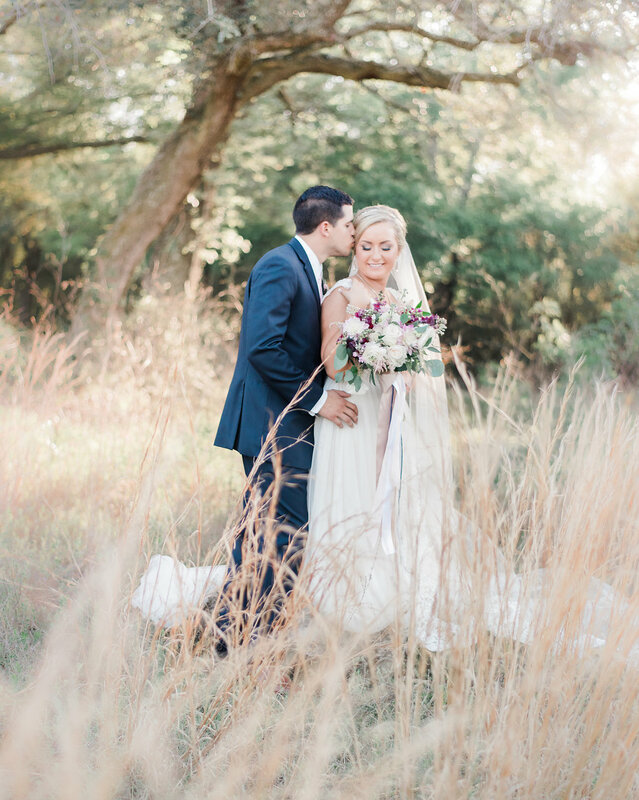 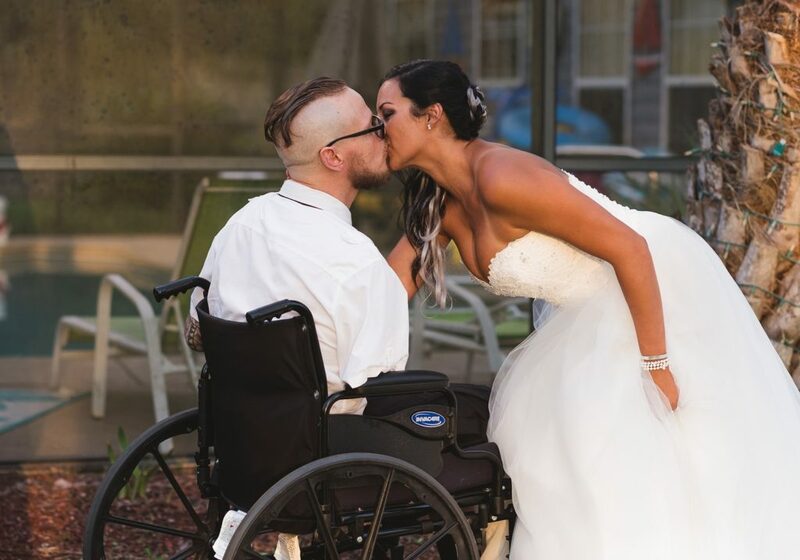 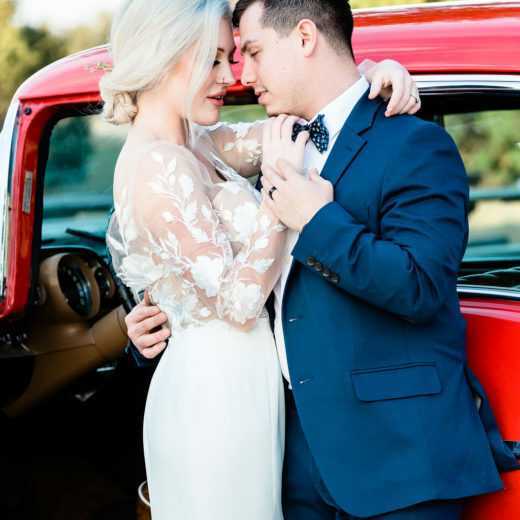 The day was the joyous celebration of this incredible couple who had walked through tragedy and come through stronger and more dedicated to each other than ever. 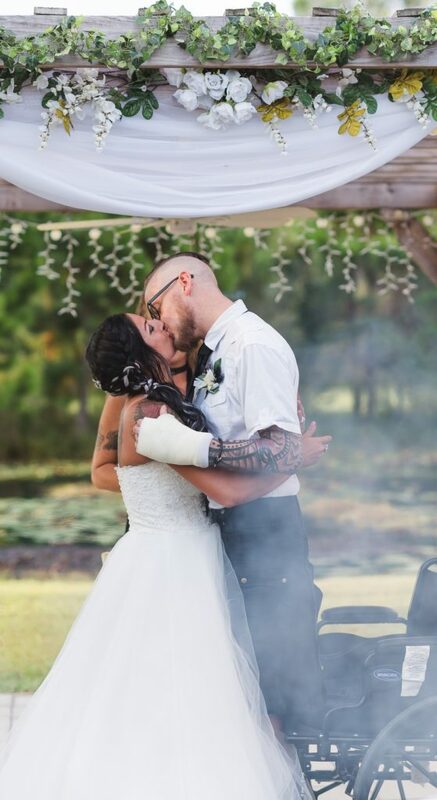 You see, Bryan had been in a horrific motorcycle accident that summer from which is continuing to recover. 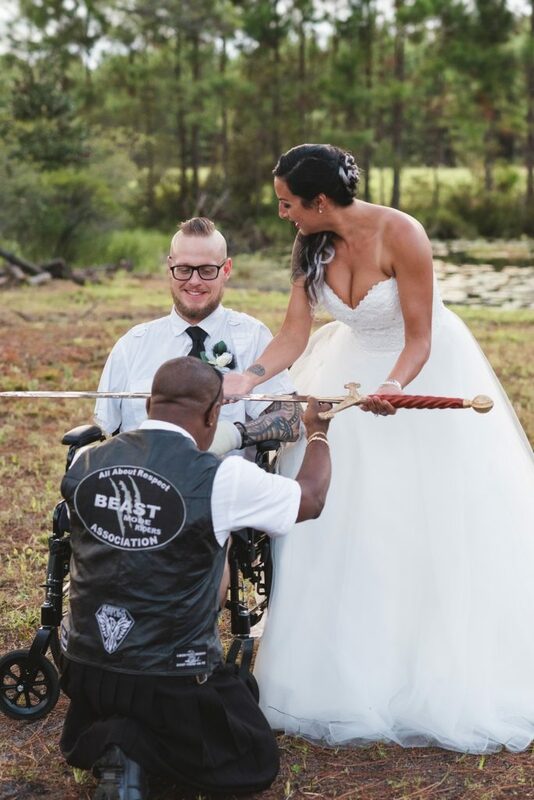 The image of strength and vitality associated with the Vikings certainly applies to this duo. 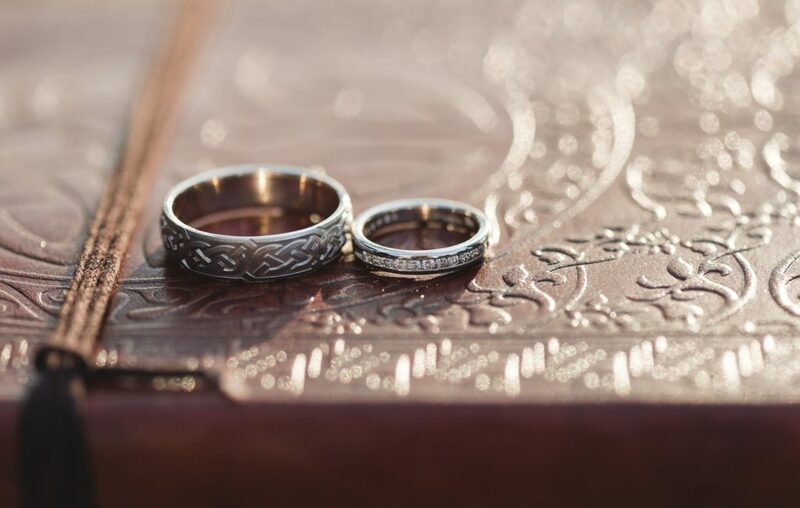 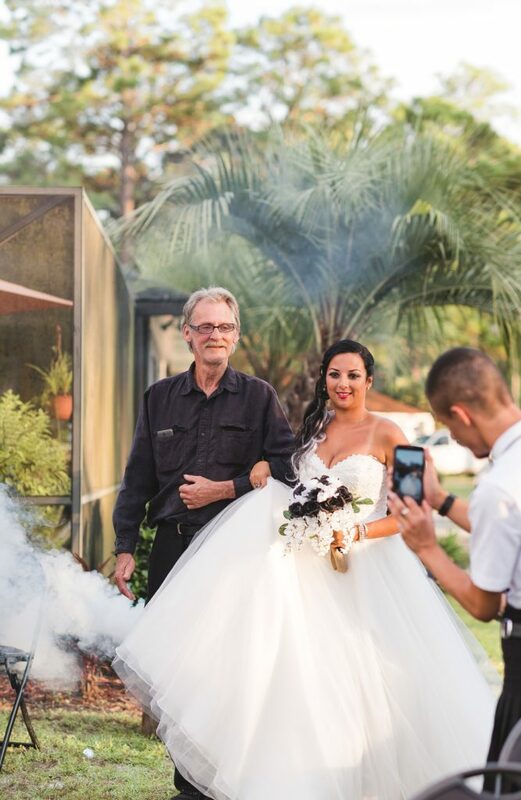 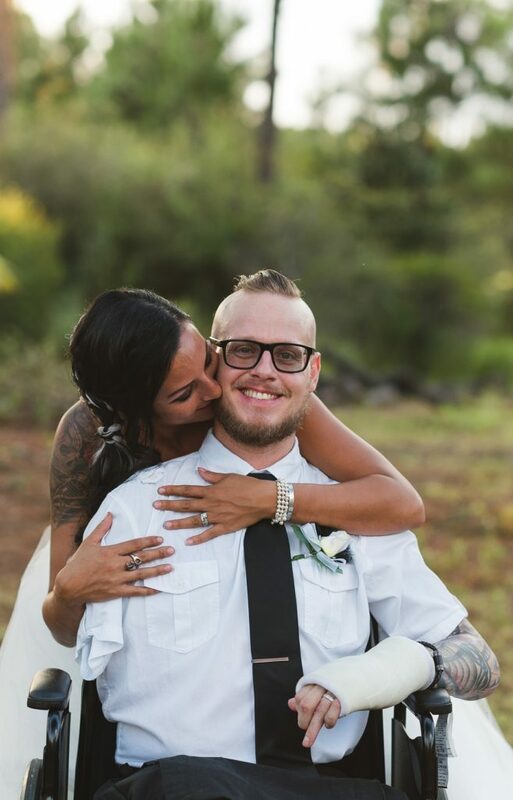 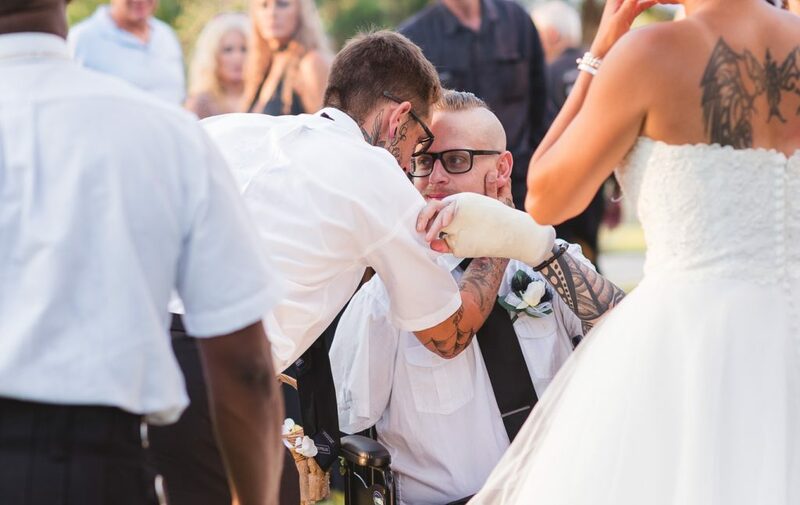 Both avid motorcyclists, the pair tied the knot at a private residence in Panama City, Florida surrounded by family, friends, and the many members of the motorcycle club to which they belonged. 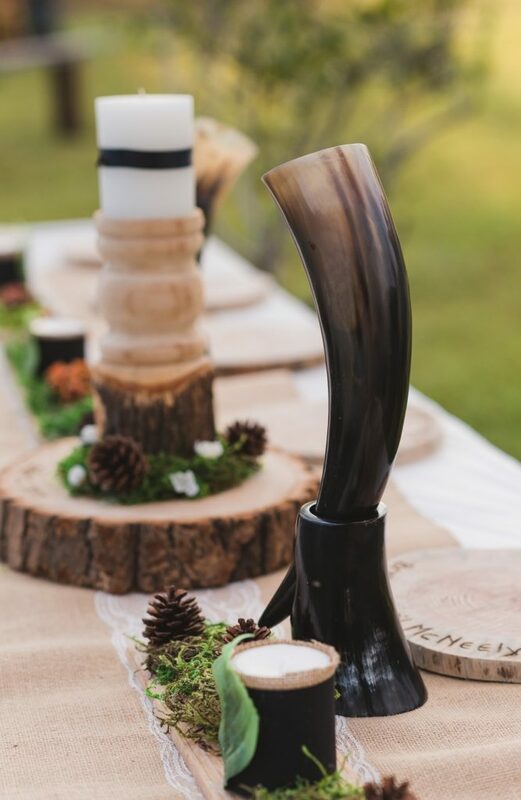 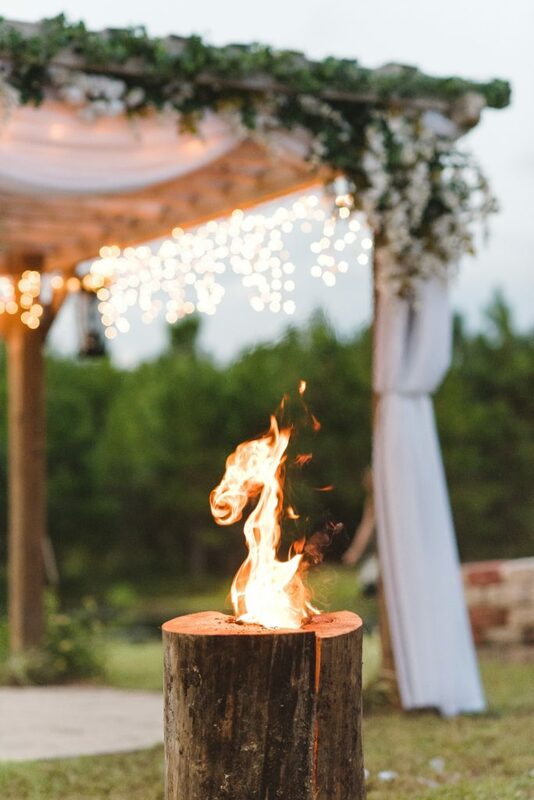 In keeping with the Viking theme, the pair included lots of natural elements in wood and moss, and incorporated some Nordic traditions like the presentation of a sword, a unity candle and ceremonial drinking horns. 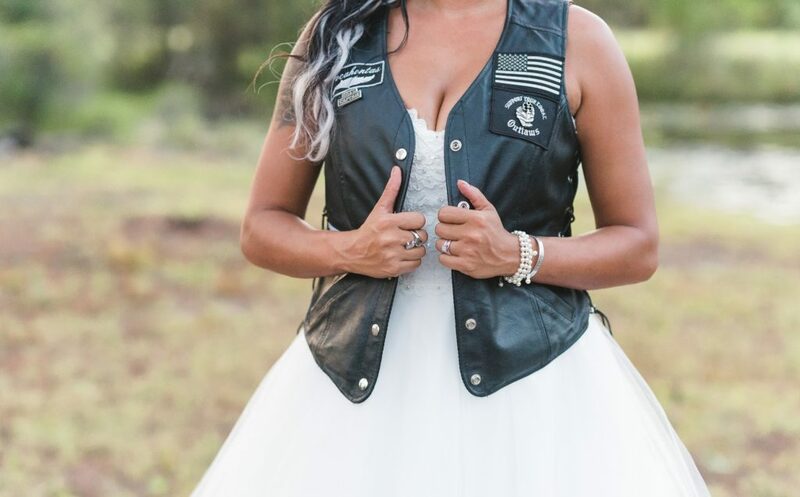 The groom and his groomsmen all wore kilts and members of their club brought and wore their leather vests laden with club affiliations.